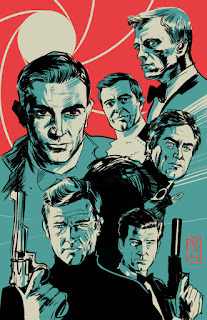 I thought that Tuesday might be a good time to talk about this great made for TV movie that Ann and I watched a few weeks ago. It is hard to believe that we had not seen this 1999 flick. This true story is the heartwarming journey of sportswriter Mitch Albom as he reconnects with his old professor Morrie Schwartz. As it unfolds we see two images of two very different men. Mitch is a thirty something guy who is driven and successful. Morrie is fun-loving academic who seems to have such a zest for life when he begins to experience the initials stages of ALS (Lou Gehrig's disease). Firstly I have to say that the movie reminded me of the amazing acts chops of Jack Lemmon - his portrayal of a dying man so inspired me. And I have to admit that Morrie reminded me of the way that Jill Hollis, another ALS victim, inspired me as she blogged about the challenges of ALS and dying. 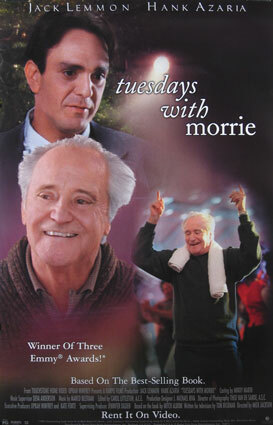 I was very touched by Morrie's zest for life even in his last days. I also like the way that they showed how difficult it was to deal with ALS. Sometimes you cannot believe what you see, you have to believe what you feel. And if you are ever going to have other people trust you, you must feel that you can trust them, too - even when you're in the dark. Even when you're falling. As you grow old, you learn more. If you stayed at twenty-two, you'd always be as ignorant as you were at twenty-two. Aging is not just decay, you know. It's growth. It's more than the negative that you're going to die, its also the positive that you understand you're going to die, and that you live a better life because of it. I am sure that most of you have seen this movie. If you have I recommend that you see it again. I highly recommend it and, on a scale of ten, I give it ★★★★★★★★★. Sound great... we'll check it out. Thanks Bob. I can't believe I've never seen this either. I have got to put it on my list. Thanks Bob. I have not seen this movie. Must get a copy. I have been using this book in my biomedical ethics class.